Celebrity Singer, and social media influencer, Anthony Gargiula, has credited his incredible acne transformation to following a plant-based diet for the last eight months. 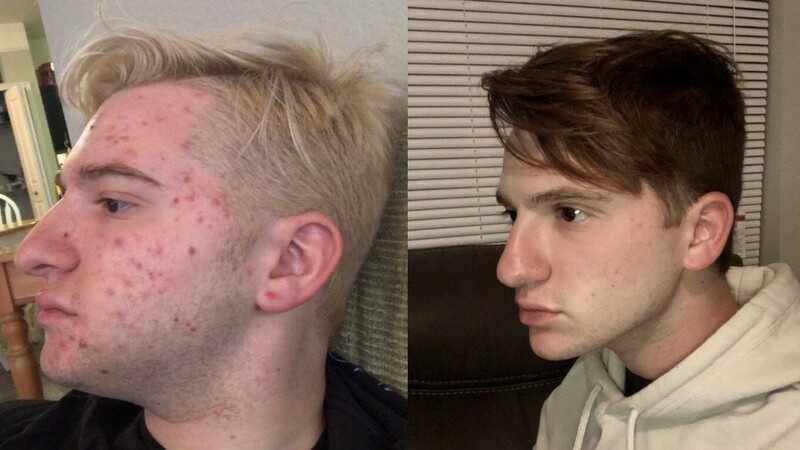 The 19-year-old star posted before and after shots of his profile onto Twitter, commenting on his skins' drastic improvement since ditching animal products. Attracting over 12,400 likes, Gargiula's tweet also caught the attention of animal-rights organization, Peta, who replied: "Absolutely incredible! They don't call it 'vegan glow' for nothing. Congrats on eight months of compassionate, healthy living." In an interview with Plant Based News, Gargiula explains how he has suffered from acne since he was 12-years-old, and stopped taking medication prescribed by the dermatologist because they were giving him migraines. "I also tried EVERY. TOPICAL PRODUCT EVER. But nothing seemed to work for me," Gargiula said. "After high school, I moved to Orlando, where I came across a Facebook post from a friend. She talked about how following a vegan diet helped clear up her cystic acne. "I had never even thought about changing my diet and seeing if it would affect my skin. Going vegan seemed like it would be a challenge for me but... I had to give it a try." Gargiula says he didn't see 'many results at first' but after persisting for a few months noticed he was getting 'fewer extreme breakouts' and his blemishes were 'getting smaller in size'. Talking to PBN, the star said: "I plan on keeping meat and dairy out of my diet for a long time, probably my whole life. "I don't get too much acne anymore, and as a performer that makes life much easier because I don't have to put on 5lb of foundation anymore." According to Nutrition Facts, acne is absent in non-westernized populations such as Okinawa islanders, who do not consume dairy. The site, run by vegan M.D. Michael Greger, states: "By million years of evolution, this signaling system of mammalian milk is exclusively and physiologically provided to the newborn only during the nursing period. "The chronic 'abuse' of this mammalian postnatal signaling system by widespread cow milk and dairy consumption in humans of industrialized societies has been proposed to be the major cause of the acne epidemic and the more serious chronic western diseases."